Detox necessity will depend upon a person’s medical condition, history of substance abuse and their age. As mentioned above, not all drug use will require a person to go through a medically supervised detox. Upon arrival to our facility, we will determine which clients require a medically supervised withdrawal programme before starting rehab. During treatment, each client is monitored by our round-the-clock medical team and action will be taken to soothe the withdrawal symptoms as best as possible. In the cases of severe drug use, medication which mimics the effects of opiates or benzodiazepines may be given for a period of time to help the body as it learns how to function normally once again. The possibility of medical complications and the need for medication in some cases are the reasons that detox is best done at an inpatient centre. Unfortunately, there is no one answer here. The length of any given treatment again depends on the severity of use and also whether or not medication is necessary. In most cases, our experienced staff will be able to give each client an idea of idea of how long the detox will take after their arrival to our facility. During treatment by The Cabin Addiction Services Group, our clients will learn new coping skills taught by our experienced counselling staff using methods such as cognitive behavioural therapy (CBT), 12 Steps and mindfulness therapy among others to increase the chances of long-term recovery from addiction. 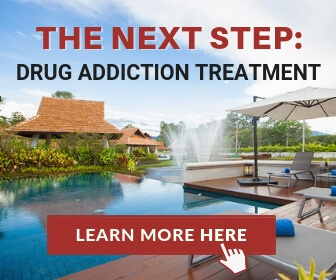 Find out more about drug rehab here. The sooner you get help, the higher the chances are of a complete recovery. Contact us today to have a no obligations assessment and see how we can help you with your drug detox. 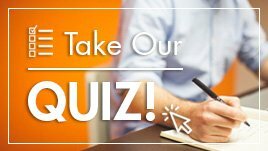 Fill out the short form on the top right of this page to start your journey to recovery now. Alternatively, you can call us on one of our toll-free numbers which can be found on our contact page.